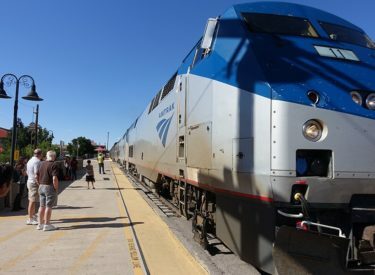 Amtrak ticket agents in Topeka and Garden City will lose their jobs in May, as part of the company’s move toward online ticket sales. Amtrak regional spokesman Marc Magliari says the Topeka ticket window will close May 20 and the Garden City window will close May 15. The Topeka Capital-Journal reports onsite staff will remain at Amtrak stations in Newton and Kansas City. The rail line is laying off 22 people nationwide. Magliari says fewer than one in 10 Amtrak tickets are currently bought at ticket counters. Magliari says the company hasn’t determined if passengers will be able to check baggage in Topeka after the agent is gone. At some stations, Amtrak allows train-side checked baggage.